Boy this Nor'easter really wrecked havoc for our little town this weekend. We were without power most of the day on Friday. Two major bridges in our area were closed because the wind blew over tractor trailers. What a mess! We lost a few shingles from our roof but other than that we are super blessed. Others in our area made out far worse so we won't complain. Living on the coast we are used to these wind storms but we were not prepared for this one. We are ready to get back on track with our meal plan this week. I pulled out some family favorites from way back in the early days of the blog. Sometimes they get shuffled to the back of my mind and get forgotten. If you are new to What's for Supper Sunday, all you have to do is click on the recipe titles below. Each one with take you to that specific recipe. 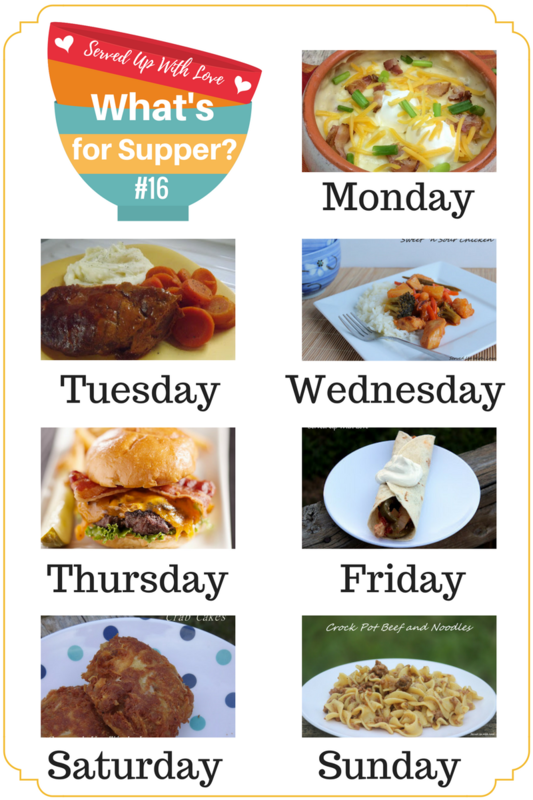 And if you want more meal inspiration, check out last weeks What's for Supper Sunday. Have an awesome week!